"We saw what a great master can do for a religious building when he is given a free hand. He can exalt and uplift as no one else." The Rothko Chapel is a sacred space open to all, every day, to inspire people to action through art and contemplation, to nurture reverence for the highest aspirations of humanity, and to provide a forum for global concerns. The biennial Óscar Romero Award recognizes courageous, grassroots, human rights advocacy. The award is named after Archbishop Óscar Romero of San Salvador, who was beatified in May of 2015. "This award has given me confidence and has made me more consistent in my role as a human rights defender." The Rothko Chapel is a spiritual space, a forum for world leaders, a place for solitude and gathering. It’s an epicenter for civil rights activists, a quiet disruption, a stillness that moves. It’s a destination for the 100,000 people of all faiths who visit each year from all parts of the world. It is the home of the Óscar Romero Award. The space contains 14 murals created by American artist Mark Rothko. Philip Johnson, Howard Barnstone, and Eugene Aubry were the architects. Outside, Barnett Newman’s Broken Obelisk rises above the reflecting pool on the Plaza. The sculpture is dedicated to The Reverend Dr. Martin Luther King, Jr., whose active outer life in service of social justice, informed by a deeply spiritual interior life, resonated with founders John and Dominique de Menil. The couple also founded the nearby Menil Collection, which offers a different sort of unique experience. 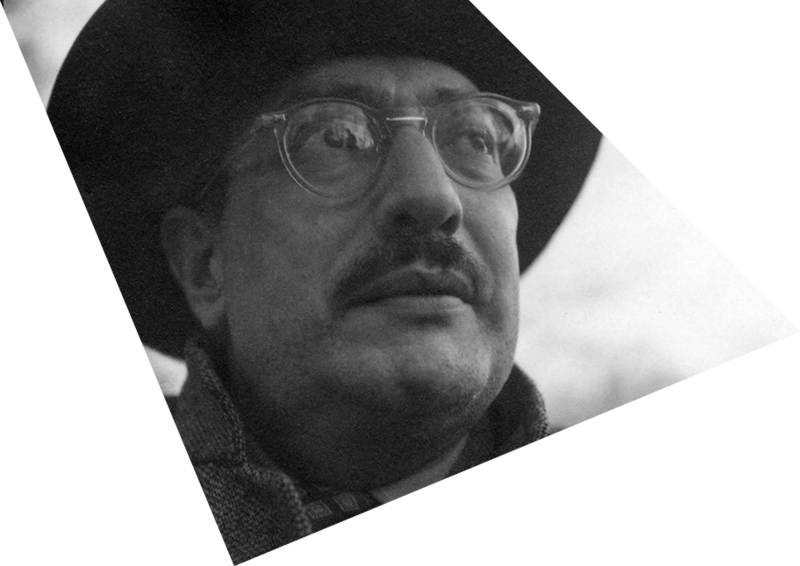 Russian-born Mark Rothko, one of the United States’ greatest mid 20th-century painters, is often identified with the American Abstract Expressionist movement of the 1950s and with the Color Field movement of the 1960s, though he steadfastly denied that his work was either. Paintings Rothko had created for New York’s Four Seasons Hotel in the late 1950s inspired the de Menils to commission the artist to create the Chapel’s powerful murals. After more than two years of experimenting and work, Rothko completed the suite of 14 paintings—seven canvases with hard-edged black rectangles on maroon ground, and seven purple tonal paintings—in 1967, at the height of his career and toward the end of his life. The natural light that illuminates the murals was very important to Rothko, to accurately show the nuances and subtleties of his color palette. "…the magnitude, on every level of experience and meaning, of the task in which you have involved me, exceeds all of my preconceptions. And it is teaching me to extend myself beyond what I thought was possible for me." Mark Rothko died in 1970 before he could see his masterpiece installed. His legacy to all who encounter his work in the Rothko Chapel is the transformative power of art. No study of the Rothko Chapel’s history or mission is complete without an appreciation of its visionary founders, Dominique and John de Menil. Both were greatly moved throughout their lives by the monumental struggles of mankind and the human condition. They were strong believers in the power of dialogue, spirituality, and the transformative power of art. These experiences led to the de Menils commissioning artist Mark Rothko in 1964 to create a sacred space for Houston. In addition to a lifetime of activism and philanthropy, the de Menils’ other contributions to Houston’s—and the world’s—rich culture include the Menil Collection, the Cy Twombly Gallery, and the Dan Flavin installation at Richmond Hall. John died in 1973; Dominique, in 1997. "The Rothko Chapel is oriented towards the sacred, and yet it imposes no traditional environment. It offers a place where a common orientation could be found – an orientation towards God, named or unnamed, an orientation towards the highest aspirations of Man and the most intimate calls of the conscience." "The Obelisk is concerned with life and I hope that I have transformed its tragic content into a glimpse of the sublime." American sculptor Barnett Newman created the dramatic Broken Obelisk that rises above the reflecting pool on the Rothko Chapel Plaza. The sculpture is dedicated to The Reverend Dr. Martin Luther King, Jr., whose active outer life in service of social justice, informed by a deeply spiritual interior life, resonated with founders John and Dominique de Menil. How the Broken Obelisk came to the Rothko Chapel is a controversial story, caught up in the midst of the turmoil of the late 1960’s. In 1969, the de Menils offered to match a grant the city of Houston had received to help purchase a work of contemporary sculpture. They chose the Broken Obelisk, and specified that it be placed near City Hall and dedicated to the recently slain civil rights leader. The city accepted their offer to purchase the sculpture, but rejected the dedication. The de Menils then withdrew their offer and purchased the sculpture themselves, installing it in front of the Rothko Chapel and dedicating it to Dr. King in the opening ceremonies of 1971. The sculpture was removed for restoration in 2004. It was reinstalled at its original site in time for Martin Luther King, Jr. Day in 2006, and was re-dedicated during a ceremony co-hosted by the Chapel and the Menil Collection, which played an important role in its restoration. Newman constructed three Broken Obelisks. The two others are at the Museum of Modern Art in New York, and on the campus of the University of Washington in Seattle. For more than 40 years, the Rothko Chapel has proudly been a part of the rich, cultural fabric of one of the largest and most diverse cities in the U.S. Providing a safe space for dialogue, prayer, and worship, and maintaining a permanent collection of holy books and spiritual texts, reflect our commitment to that diversity.